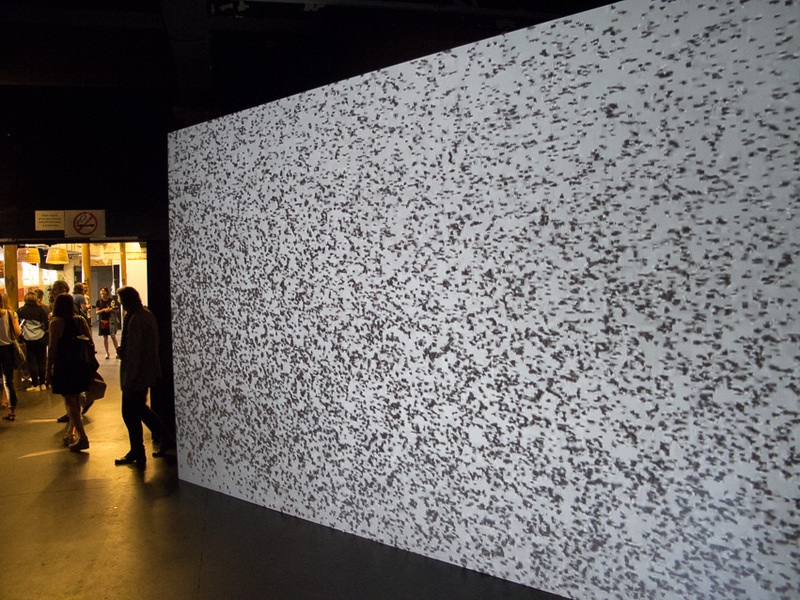 Wonderful opening last weekend of Biennnale De l’image Possible in Liège, Belgium. The art of flying will be playing there in a loop until 16th October at the entrance of the Manège Fonck (main venue) of the biennale. Thank you Anne-Françoise Lesuisse, Lucien Barel, Pierre Stassart, Anja Buecherl and everyone else of BIP!! Posted on 22/08/2016 by fotojan. This entry was posted in Film-projects, The art of flying. Bookmark the permalink. ← Award for Best Art Film at Pärnu international documentary film festival, Estonia!